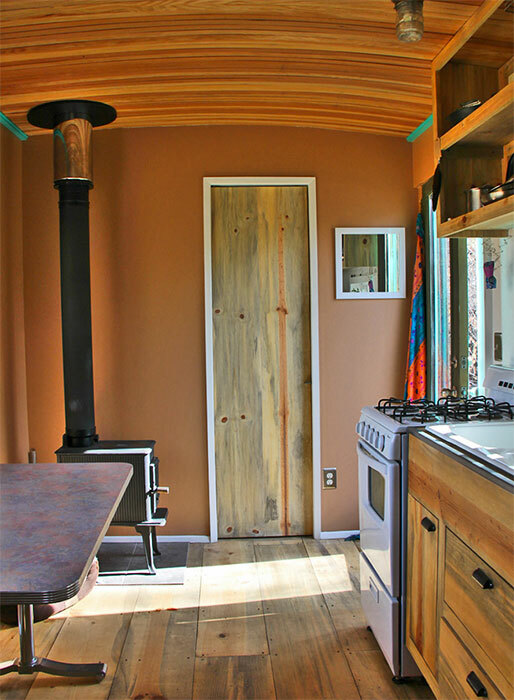 This gorgeous off grid tiny house was designed and built from scratch by Ben Barthell of Shopdog. 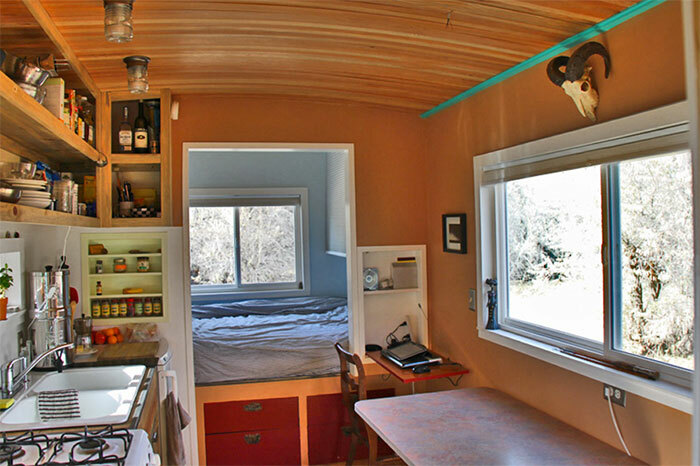 Constructed on a 24 x 8.5 foot flatbed trailer, it is a beautiful example of comfortable living in a tiny space. The house has all the amenities of a larger house, but with the huge advantage of no mortgage or utility bills. 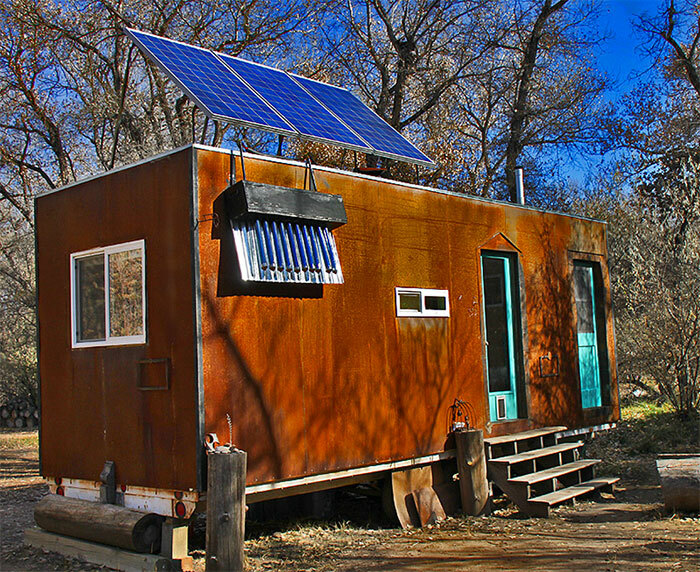 The house is completely off the grid, with all electricity provided by a self contained solar system. Water is obtained by rain catchment and from a well on the property and is stored in the house in an on-board storage tank. Hot water to the kitchen and bathroom is heated by a tube solar heater that circulates water to a hot water tank. The exterior of the house is finished with maintenance-free recycled steel sheets. 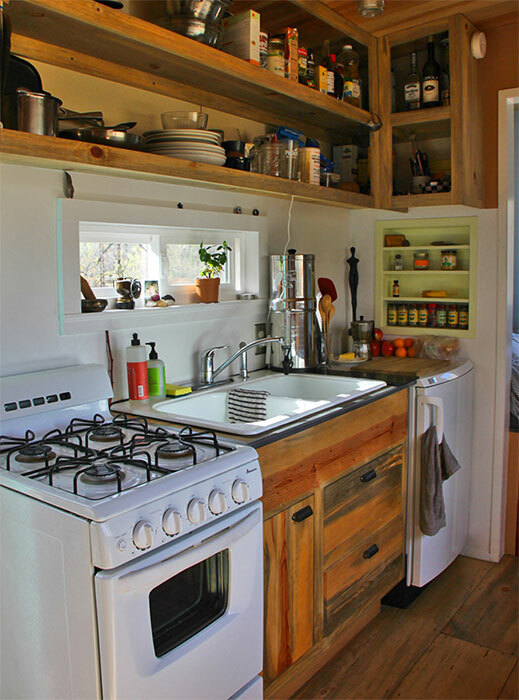 The full sized kitchen includes a stove, fridge/freezer combo, and plenty of shelving to take advantage of vertical space for storage. 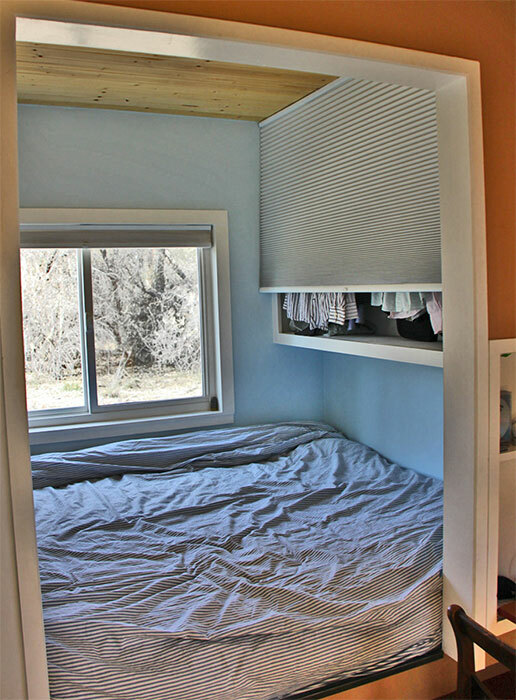 The bedroom also has tons of storage space, with closets at both ends of the queen sized bed and drawers underneath the bed. 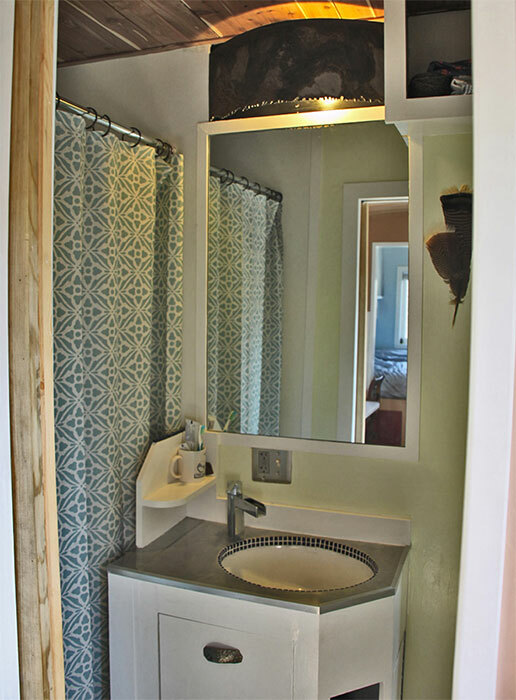 The bathroom is complete with a nice full sized shower, sink/vanity combo, and composting toilet. All the grey water from the house is used for watering the gardens. A small wood stove provides the majority of the heat to the home, supplemented by passive solar. 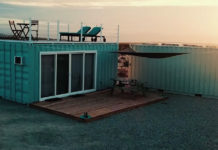 Modern, luxury living is absolutely attainable in a tiny space such as this, freeing up time and resources that would be used up on a larger home. It is interesting that in this country we call these “tiny houses” when in most of the rest of the world my house would be a castle! 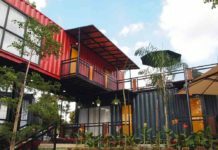 so I like to call mine a “world house” For not really that much money, a small family with a modest income could thrive in one of these. Previous articleOff Road Trailer Might be Perfect Mobile Off Grid Bug Out Shelter!